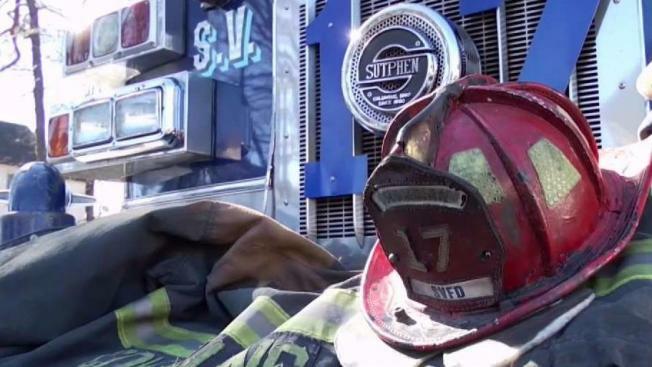 Call it the ‘Million Dollar Fix.’ Firefighters at the Spring Valley Volunteer Fire Department in Rockland County have just received a special delivery: a brand new firetruck and other critical equipment, including new turnout gear and radios for the 70 members. Sarah Wallace reports. Call it the "Million Dollar Fix." Firefighters at the Spring Valley Volunteer Fire Department in Rockland County have just received a special delivery: a brand new firetruck and other critical equipment, including new turnout gear and radios for the 70 members after an I-Team investigation into the state of the department's equipment. For years, firefighters had been saddled with outdated and expired gear, and a pumper that often failed during crucial calls. The department, the busiest in Rockland County, is facing mounting dangers from illegal housing conversions by slumlords and out-of-control construction. Board officials in the village, locked in an internal political battle, initially refused to release funds for the department until the I-Team began highlighting the outrage two years ago. After community pressure, the Board finally approved a $1.3 million bond. The bond allowed the Department to purchase iPads for all vehicles. "All the iPads have GPS location, hydro location, even emergency information such as chemicals in the buildings, and pre-planned maps of apartment buildings,” said Chief Ray Canario. Every firefighter also has a new bailout system that allows for escape from high-rise buildings. The state had mandated escape ropes for all internal firefighters after the deadly Bronx black Sunday fire in 2005 when several FDNY firefighters were trapped. Two died. Spring Valley ignored the state mandate until the I-Team’s stories. “The new equipment helps us stay safer, helps the village people be safer and it helps us better serve them," said Lerer.